Fancy has rolled its Fancy Anywhere button onto Tumblr, allowing publishers to embed the service’s crowd-sourced catalog on their sites and earn money from purchase referrals. Fancy Anywhere already lets creators post affiliate links and photos on their own blogs and websites, and the new Tumblr integration should be a natural fit for users of the microblogging service. 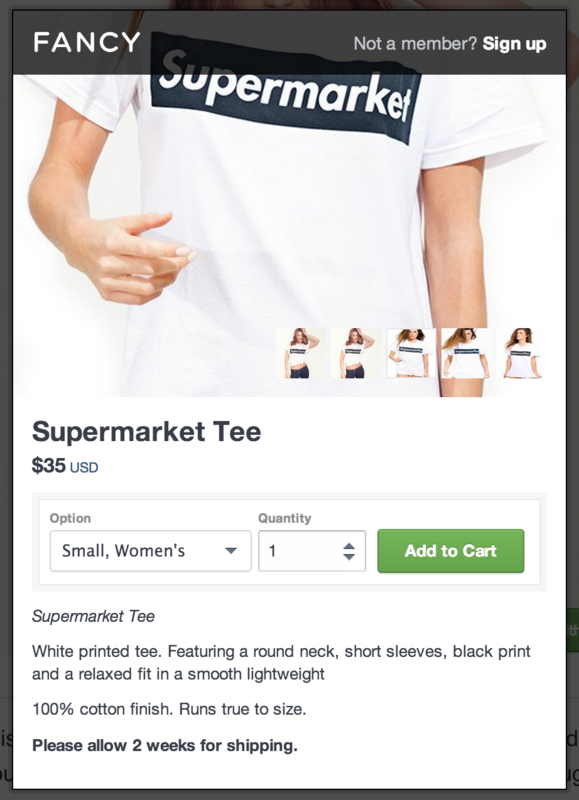 Readers will be able to quickly make purchases without leaving Tumblr by clicking the “Buy with Fancy” button in the corner of the product’s photo. Alternatively, they can click through on the image to visit the Fancy product page. Publishers will earn 10 percent of each referred sale, deposited into their Fancy accounts. If this new monetization option for Tumblr publishers takes off, the site’s new owner Yahoo will receive some vindication. Yahoo completed its roughly $1.1 billion acquisition of Tumblr earlier this week, while reiterating that it will let the company continue to operate independently. Meanwhile, with 300 million monthly unique visitors, Tumblr’s a nice catch for Fancy, which boasts 7 million users. A large subset of the Tumblr demographic should be right in line with Fancy’s own target audience, so this is bound to be a win for both companies. The new Tumblr integration arrives one week after Fancy unveiled its app for Google Glass.